Your bathrooms are some of the most important living spaces in your home. At the same time, some people fail to get the most out of these areas, especially where small interior bathrooms are concerned. Small interior bathrooms are often overlooked because they feel cramped and unusable. 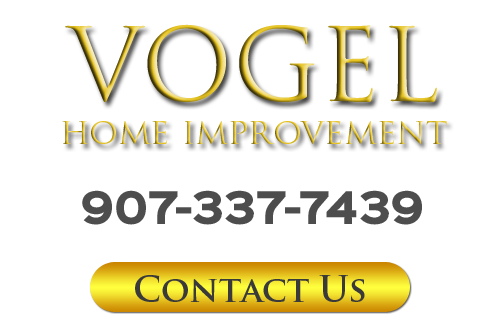 At Vogel Home Improvement, your Anchorage bathroom remodeling contractor, Bob Vogel, is here to change that. 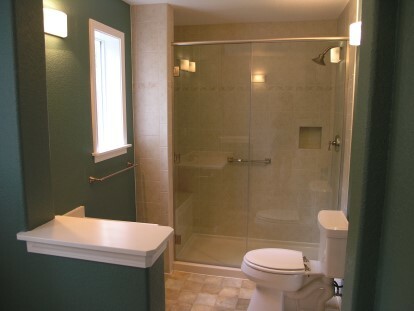 Since 1996, Bob has conducted countless bathroom remodeling projects in the Anchorage area. As such, Vogel Home Improvement is able to bring the knowledge, skill, and experience necessary to vastly improve these living spaces for you. Bob can help give your small interior bathrooms a more inviting and expansive feel. You and your family will be stunned by the results. In order to help you get this project off the ground, your Anchorage bathroom remodeling expert has developed the following guide. Call today if you are interested in renovating a bathroom in your home, and let's schedule your consultation. One of the biggest culprits that take up space in small interior bathroom is the vanity. If you and your family generally avoid such a room, you should give serious consideration to redesigning your bathroom vanity. Your remodeling contractor can help you limit the footprint of your bathroom vanity or can do away with it entirely by installing a pedestal sink. In either event, the added floor space will give your bathroom a more expansive and inviting feel. Another great way to open up a small bathroom is to remove a tub from the area. You can still keep this room as a full bath by installing a standing shower. Again, this simple change can open up the area available immensely. Through this one effort, you can dramatically improve how you and your family enjoy your home. Lastly, in addition to making major renovations to your small bathroom, you can brighten up he living space by using a combination of lighting, mirrors, and bright colored paints. With the help of an Anchorage bathroom design expert, you can truly transform the look and feel of your small interior bathroom. Throughout the entire project, Vogel Home Improvement will constantly stay attuned to your inputs. In this way, we can ensure that all your needs are satisfied and all your goals are achieved. You and your family will be pleased with the new appeal of your small bathroom for years to come. If you would like more tips for small bathroom remodeling in Anchorage, AK call Vogel Home Improvement at 907-337-7439 or complete my online request form.